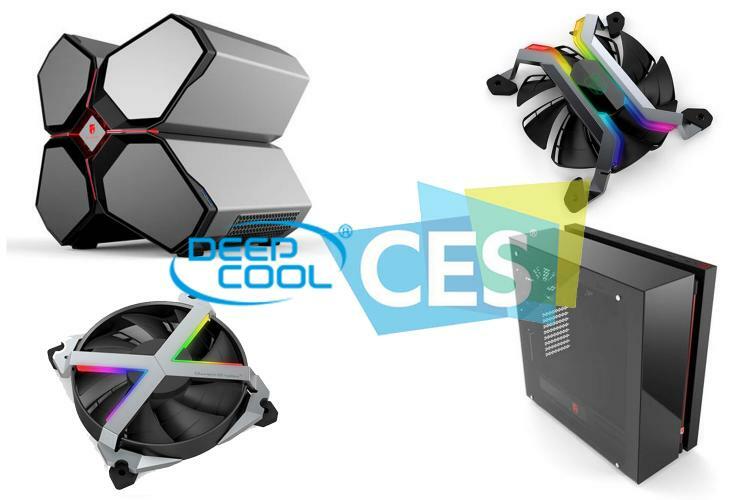 DEEPCOOL demonstrates new products at CES 2017 including the new QUADSTELLAR chassis along with three water cooling cases - NEW ARK 90, EARLKASE LIQUID and BARONKASE LIQUID. DEEPCOOL also introduces the MF120GT and MF120 fans. 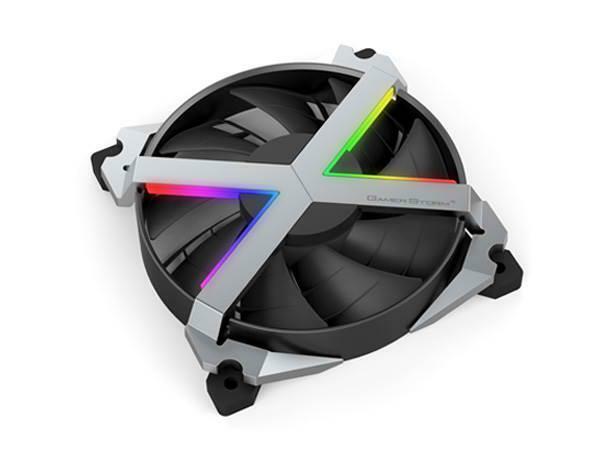 Deepcool is also proud to announce its first RGB liquid cooler Captain EX RGB. 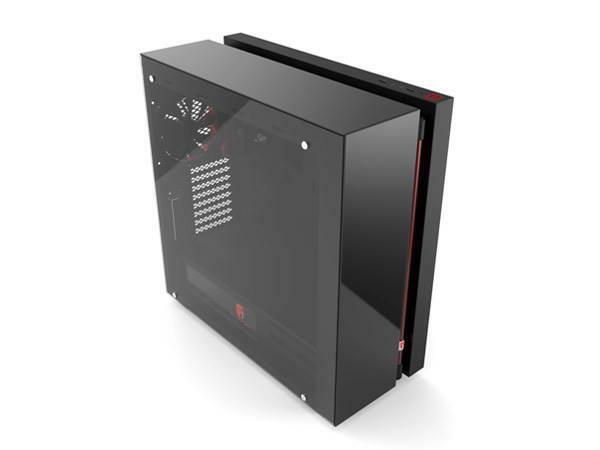 The DEEPCOOL NEW ARK 90 is a sleek high end PC case with top and side panels completely made of optimized tempered glass, offering a clear full view of the interior. It features a pre-installed Captain 280EX AIO liquid cooling system incorporating an exposed liquid reservoir and a specially designed flow indicator which makes the flow rate of the coolant clearly visible. Besides, three 140mm fans are also pre-installed, so to maintain a remarkable cooling performance for your whole rig is undisputed with this case. The NEW ARK 90 will also be available in May, 2017. 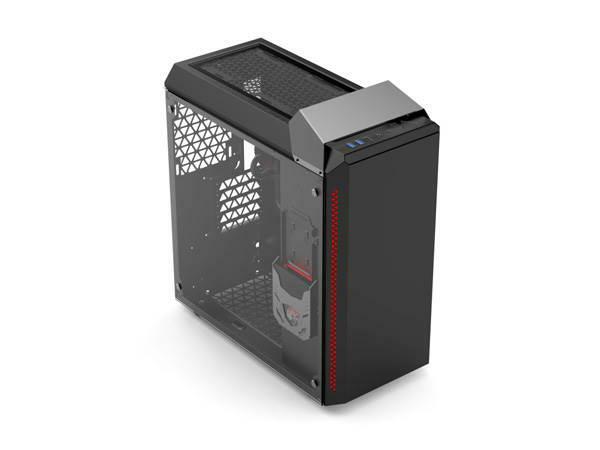 The DEEPCOOL EARLKASE LIQUID is an ATX PC case with the whole side panel completely made of tempered glass for a clear full view of the interior. A built-in angled panel separates the interior space into two parts simplifying cable management for an ultra clean looking build. It also features a pre-installed Captain 140EX AIO liquid cooling system incorporating a specially designed flow indicator which makes the flow rate of the coolant clearly visible. The integrated RGB lighting system allows simultaneous color changing on different parts of the system including flow indicator, water block, and LED strip. The EARLKASE LIQUID will be available in April 2017 with an MSRP of 149.99 USD. 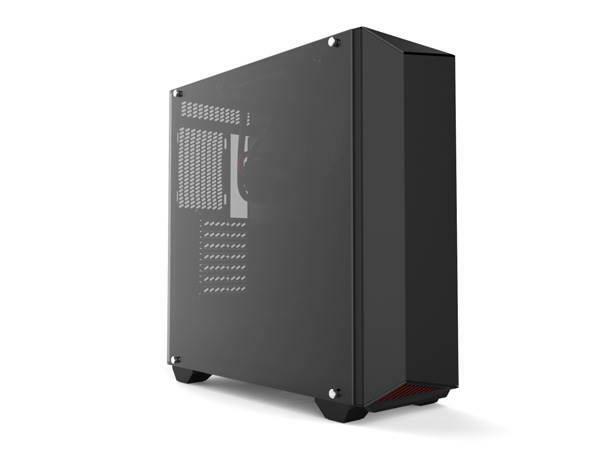 The DEEPCOOL BARONKASE LIQUID is an all-metal Micro-ATX body that supports ATX motherboards with a solid metal handle at the top making it an ideal solution for a portable VR-ready PC. It features the Captain 120EX AIO liquid cooling system incorporating a specially designed flow indicator which makes the flow rate of the coolant clearly visible. 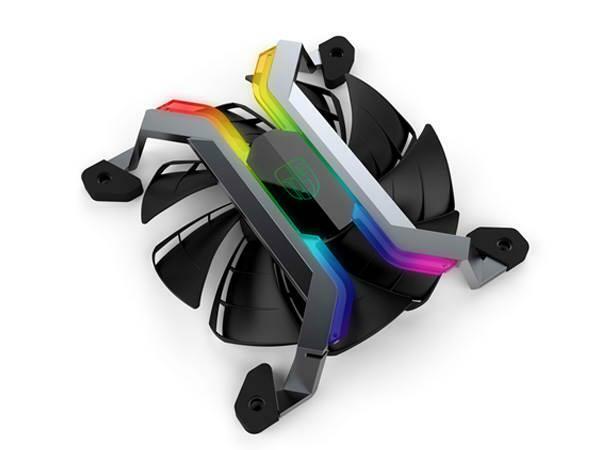 The integrated RGB lighting system allows simultaneous color changing of different parts of the system including flow indicator, water block, SSD shroud and LED strip. One illuminated 2.5” drive bay is vertically orientated so it can be clearly seen through the side window. 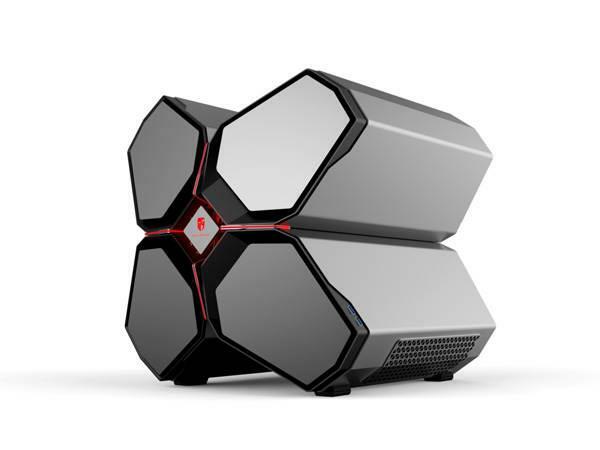 The DEEPCOOL BARONKASE LIQUID will be available in April 2017 with an MSRP of 129.99 USD. DEEPCOOL MF120GT delivers excellent vibration damping capability as a result of using a specially optimized aluminium alloy material. The aluminium fan frame is detachable for easy cleaning and optimum performance. With the mission of initiating a new era in RGB cooling, illumination is provided by an innovative double V shape RGB lighting system which generates 16.8 million colors for creative lighting effects. In addition, the Double-layer blade design generates a stronger air pressure. Fan speed can be varied by PWM over the range 500-2200 RPM, and high reliability is delivered by the Fluid Dynamic Bearing used in the fan. For more flexibility and convenience, Custom App GS Control is available for the control of the lighting system and fan speed. It will be available in April 2017 with an MSRP of 99 USD (3 pcs of fans RGB controller). The DEEPCOOL MF120 delivers excellent vibration damping capability also by using a specially optimized aluminium alloy material. Its frameless design will be a surprise for all enthusiasts as the rotation of the exposed blades is more visible. There is a built-in parallel RGB lighting system to match your other components of any color, which generates 16.8 million colors to deliver high quality lighting effects. In addition, the Double-layer blade design generates a stronger air pressure. Fan speed can be varied by PWM over the range 500-2200 RPM, and high reliability is delivered by the Fluid Dynamic Bearing used in the fan. For more flexibility and convenience, Custom App GS Control is available for the control of the lighting system and fan speed. The MF120 will also be available in April 2017 with an MSRP of 89 USD (3 pcs of fans RGB controller).